A previously confirmed fight between Justin Gaethje and Dustin Poirier has now been announced as the main event for UFC on FOX 29 taking place on April 14 with a location for the event still to be determined. UFC president Dana White made the announcement following the UFC 220 weigh-ins on Friday. Gaethje and Poirier will meet in a five round battle pitting two of the most exciting lightweights on the UFC roster against each other with a combined 10 post fight bonuses between them. Gaethje will be returning from the first loss of his professional career when he suffered a TKO to Eddie Alvarez at UFC 218 last December. 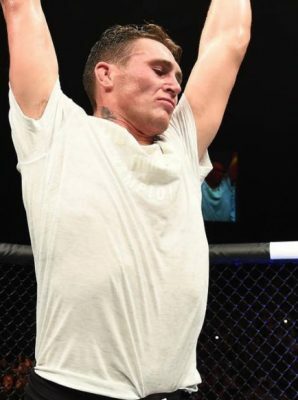 Meanwhile, Poirier is fresh off a lopsided win over former UFC lightweight champion Anthony Pettis as he continues to climb up the lightweight rankings with hopes of earning a title shot in 2018. With Gaethje vs. Poirier official for UFC on FOX 29, that main event will join the welterweight showdown between Carlos Condit and Matt Brown that was previously reported this week. Now it’s just a waiting game for the UFC to announce where the event will take place with these two highly anticipated matchups already expected on the card.